Structural Hollow Sections (SHS) are very effective in resisting buckling loads, resulting in a high strength-to-mass ration. High flexural stiffness in all directions is combined with high torsional stiffness. When used as beams, the need for lateral support is reduced. Columns and beams do not need to be checked for torsional-flexural buckling if they fall within the limits of the slenderness ratio or when the height-to-breadth ratio of these sections does not exceed 2 to 1. The result is less material usage and a competitive engineering solution. The lighter, yet stiffer structural members simplify the erection as longer spans can be pre-fabricated. Connecting members are typically joined by welding under strict factory conditions. 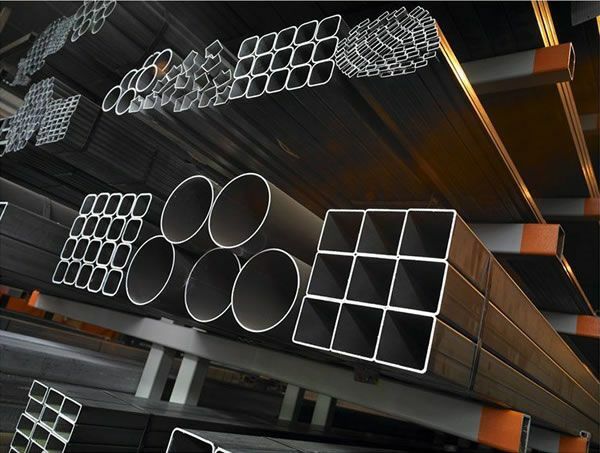 Grade 355 Tubes, also commonly known as Structural Hollow Sections, was launched in February. Previously Grade 300 Tube, launched in June 1997, was available. Engineers can now use an increase minimum yield stress of 355MPa yield and an Ultimate yield tensile stress of 450MPa for designs. 193.7mm round in thicknesses of 3.5 and 6.0 mm where the stocked lengths are 6.1. 219mm round in a thickness 3.5 mm where the stocked length is 6.1 metres. 219mm round in thicknesses of 4.5 and 6.0mm where the stocked lengths are 6.1 and 9.144 metres. 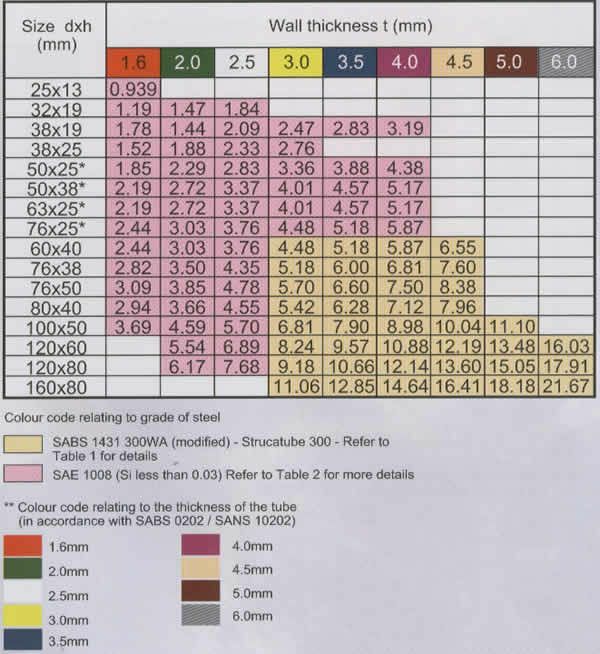 Selected sizes in the structural tube range are available in 9.144 metre lengths. 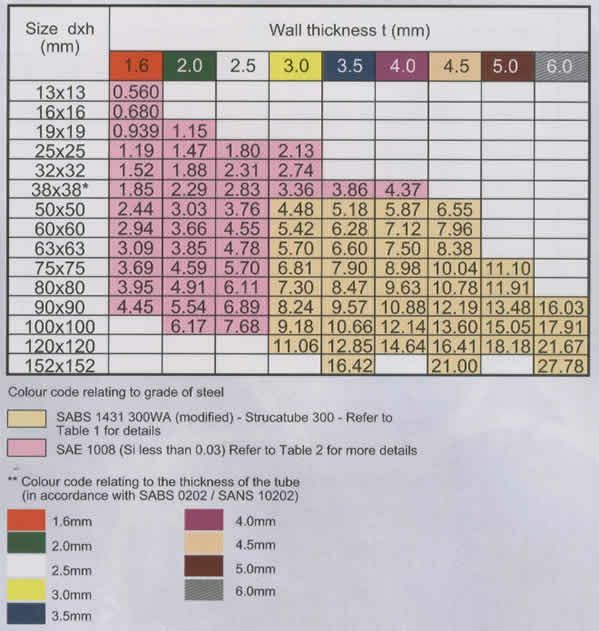 Other lengths may be supplied on request, but are subject to minimum order quantities. The angle at each corner of a tube must measure 90o + 1o. The outside corner radius of each corner must not exceed 2.5 times the wall thickness. The twist of a square or rectangular section must not exceed 2mm plus 0.5mm per metre length of tube i.e. the maximum twist in a 6.0m length may be 1mm + 6mm = 18mm. The concavity / convexity must not exceed 0.8% of the outside dimension H (Height) or B (Breadth), with a minimum of 0,5mm. 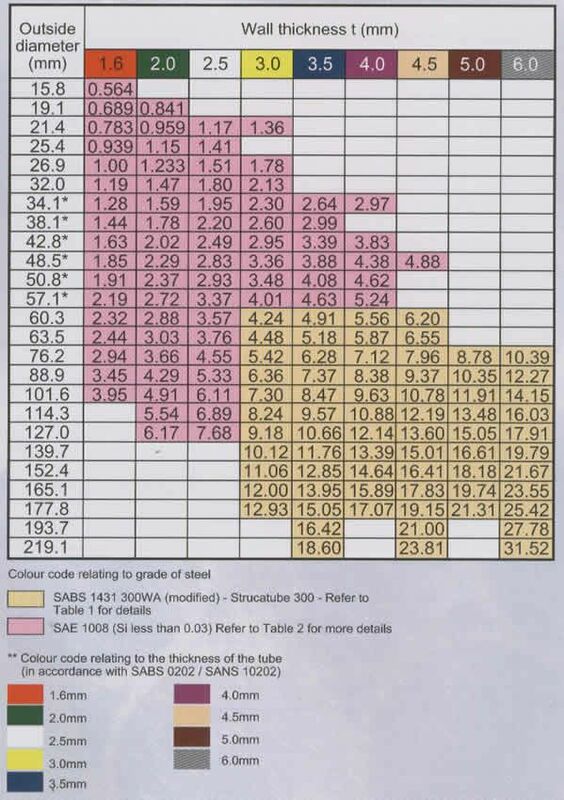 The straightness tolerance for mechanical and structural round tubing is 2mm/metre length.